lamination : bopp / metalised / glitter film. 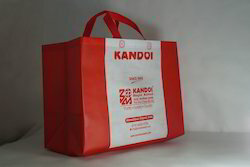 features : green eco friendly bags, attractive looks, easily can hold 15kg. Premium look . Looking for Mithai Box Type Bag ?